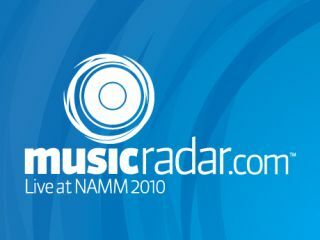 And before you can say 'buffet breakfast at Disneyland' it's Day Two of NAMM 2010! Following yesterday's show floor sweep, we've taken the best bits and gone in for a close-up: see Fender's G-DEC 3 in action, a working prototype of Teenage Engineering's OP-1 and Eigenlabs' Eigenharp Tau in glorious video. Or take a tour of the Orange stand (you may never see a brighter gallery on MusicRadar), the Fender stand and Akai's new iPK25 and APC20. A working model of the feature-packed music gadget is finally here! Phone has "enhanced music features, pre-loaded content, new accessories"
See a God strum a wooden(ish) phone in screengrabs!